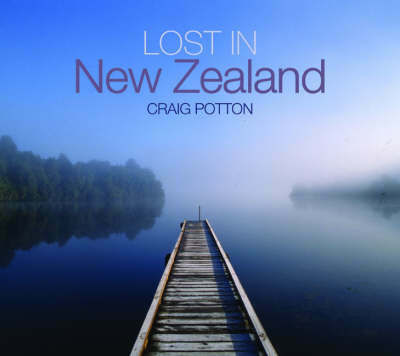 Lost in New Zealand is a new release from pre-eminent New Zealand photographer Craig Potton, in the popular New Zealand pictorial genre. In a deliberate move away from the highly commercial photography of the likes of New Zealand Aotearoa, Craig is presenting images from his photo library with a more subtle and sophisticated take on the landscape. Influenced by recent photography trips to Iceland and Nepal, and the success of his newly-opened Arrowtown gallery, Craig is keen to make available his less-known but more personal photography, meeting the expectations of tourists and locals alike whose tastes in landscape photography are wider than a book of solely postcard-style pictures. Art and literature is full of metaphors of those who become either emotionally, physically, or spiritually 'lost' in the wilderness. Through this journey, they are able to find a sense of calm within themselves, and learn to appreciate the sublime in nature. Similarly, Lost in New Zealand tries to capture the quiet beauty of this land, and one photographer's passion for it. Not since Moment & Memory has Craig allowed such a private and personal retrospective of his work to be published, and Lost in New Zealand includes many previously unpublished photographs from the past 10 years.